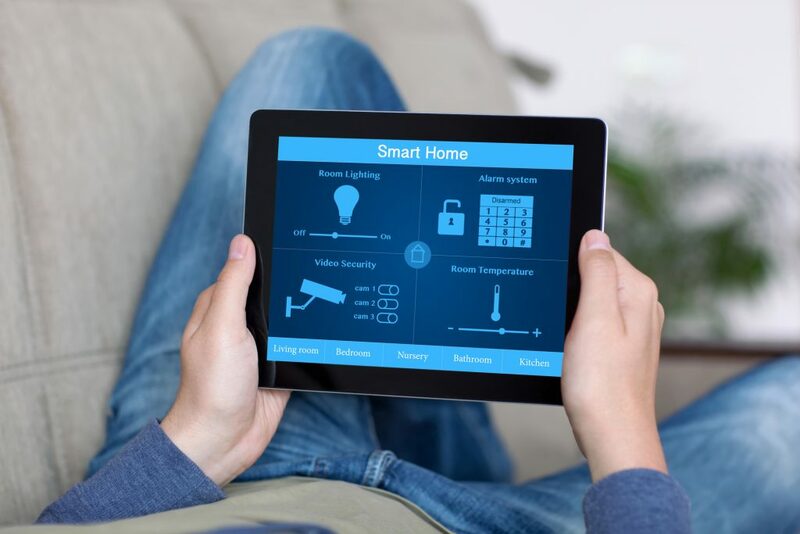 There are a lot of factors to consider when it comes to what you want in a smart home. The best way to go about building your smart home is to invest in a few key pieces that will control the majority of your smart home devices, then grow your base of products with things you like or would use daily. 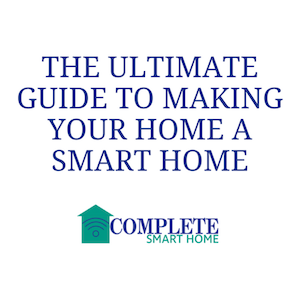 Building a smart home takes time, but once you get started, it’s a lot of fun to see how you can grow your smart home stable of products to tailor perfectly to you and your family. 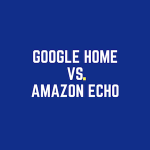 The first product(s) you should buy when starting your smart home should be a smart speaker/assistant (like Google Home or Amazon Alexa). Not only do these devices sync with tens of thousand of third-party smart home products, but they offer tons of useful tools like calendar reminders, APIs, reference solutions, and more. You can place multiple speakers around your house that all work on the same system, allowing you to always be within range of use. Another good investment is a smart hub. While they don’t do anything on their own, smart hub’s are great tools to add to your smart home to collect and control all of your devices in one place. Check out our reviews of the best smart hubs on the market. Think of a smart hub as the brain of your smart home. While many devices do not require a smart hub to work, most devices can and will connect to your smart hub, making it easy to control all of your devices from one place (usually through an app). The short answer is no. A smart hub is always something you can introduce later when you have multiple devices in your smart home catalog, but when you are just building your system, a hub is not required and you can control everything independently or through you smart speaker. One thing that many people want to first implement into their smart home is a security system. From door and window sensors, to indoor and outdoor cameras, there are plenty of smart products on the market that will let you keep your home, and family, safe and protected. Many companies offer full product lines that allow you to build and monitor every aspect of your home security from one place. Nest, just one of the many smart home security companies, makes a great lineup that includes window and door sensors, cameras and smart doorbells with cloud storage, key fobs, motion detectors, and more. All of these devices are controlled by a central hub (different than smart hub) that is wireless and can be placed anywhere in the house. Cameras can be a great tool to monitor your home’s security, and there is a wide range of products that keep an eye on the inside and outside of your home. Look for outdoor cameras with good resolution and night vision capabilities. Indoor cameras can be hidden in plain sight, or staged in an area you want to keep an eye on throughout the day. Many of the indoor cameras on the market offer two way audio, so you can look in and communicate with anyone in the house. Both indoor and outdoor cameras offer cloud storage options that allow you to view live or stored video at any time, which is great when you are worried about intruders or want to go back and check in on video from a week prior. Another great smart home security product we love is the smart lock. Our two favorites are the Kwikset Kevo and August, and both provide deadbolt locks that pair with your smartphone to control access in and out of your home. You can add multiple phones to the system, and even send temporary keys to friends or neighbors so they can get in and out of your house while you’re away. Once they leave, you can remotely lock the door from anywhere in the world. Aside from home security, one of the best smart devices every smart home should have is a smart thermostat. 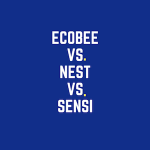 There are simple products, like the Sensi that is perfect for someone who just wants to set the thermostat to a schedule and forget about it. Then, there are products like the Ecobee3 and Nest that you can get a little more creative with, and include motion detection and learned behavior to understand when you come home and leave, and can adjust temperatures accordingly. These products are great at reducing your heating/cooling costs throughout the year, and pair seamlessly with smart speakers. Smart bulbs are a fun product you can bring into your home that also add a lot of value to your daily routine. Smart bulbs connect to your home wifi and can be controlled by your smart speaker. You can set schedules, or toggle the color, brightness, and hue of a light. Some apps also allow the lights to tap into the weather, and will turn certain colors when rain is in the area, or it’s a certain temperature outside. Smart switches and smart plugs are newer technology to come out, but add plenty of value when it comes to your smart home. Switches can be motion detected and turn on or off when you enter and leave the room, or you can control them from your phone from anywhere in the world. Smart plugs work in a similar way, and can be controlled by your smart speaker or your phone. You can link all the switches and plugs in your house with most products, allowing you to control entire rooms, floors, or a combination of your choice with the push on one button. More often than not, when we think of our smart homes, and the wish lists we make for things we want them to include, they usually revolve around the inside of the home. From lights we can control from work, to the cameras and HVAC we want to check on from the airport, we usually think about the inside of the home, and forget that there are a ton of great products for outside of the home as well. One of the latest technologies is smart lawn mowers, that operate from battery power and can mow your lawn in as little as 60-90 minutes. Acting like a Roomba vacuum, smart lawnmowers digitally map your lawn, and cut and mulch your grass without you having to get off the couch. Another outdoor product that works great with a smart hub is wifi sprinklers. These products are so sophisticated, they will accurately gauge the local weather and determine whether or not watering is necessary. You can also set them to a regular schedule if you prefer. Whether you want to control everything from a smart hub, smart speaker, or control everything independently from your phone, the key is ensuring you get your smart devices talking to each other. Establish what the “control center” for your system is going to be, then bring in products that are compatible with that base. 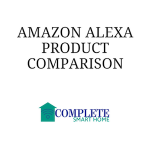 Most products do a great job at making installation and pairing easy, but be sure to read reviews about ease of installation to ensure everything you bring home will be easy to add to your list of smart home products. Also make sure your network is secure with a smart home firewall device. 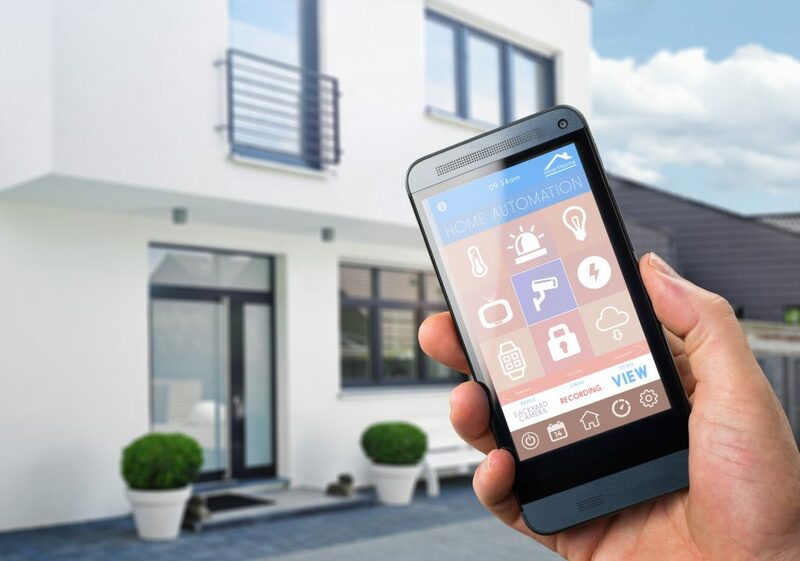 While a lot of smart home devices allow you to merge with new technologies and products, others simply die out and are replaced by new versions. Smart bulbs are good examples of this. Be wary when you see a deal that seems too good to be true. Chances are, it probably is. When a new technology comes out, we often get excited and want to buy it. The problem is, it might not be compatible with your smart hub or smart speaker. Make sure you understand your current system and ensure new products you bring home work with that system, or be ready to deal with juggling through apps. Have a gameplan. 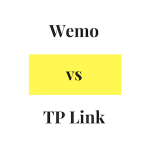 Buying product after product without thinking how they work with one another is a recipe for disaster and will lead to more trouble with your smart home system than you’ll be able to manage. Similar to not sticking to the plan, mixing providers and products will lead to multiple apps, systems that don’t communicate with one another, and headaches for you when you try to set up your system. Many homes jam all their smart home tech in their living rooms or kitchens, and don’t utilize the potential of what a smart home can do. Spread the tech around by installing smart bulbs throughout the house, smart speakers in rooms that are often used like bedrooms and offices, and make sure motion detectors are installed in hallways where you get a lot of foot traffic.